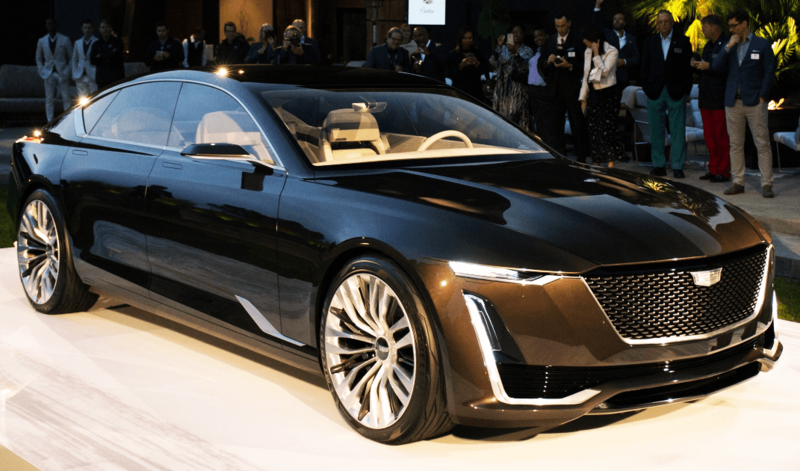 Cadillac Escala is the new concept that Cadillac unveiled at Pebble Beach during the Monterey Car Week. We are all well aware that the automaker has a strong Pebble Beach game so we know that as soon as we they take the wraps off we’ll see something amazing. The Cadillac Escala, a 4-door flagship sedan, is a vehicle that can steal the show very easily. The folks at Cadillac built the modern and luxurious Cadillac Escala on the same CT6 bones that are on sale today. This huge sedan sports big 22-inch wheels at the corners and a lift-back in the rear. However, the Cadillac Escala is not just a word play with the Escalade derivative. According to Andrew Smith, Cadillac designer, Escala is Spanish for scale. Thus, the Cadillac Escala measures 6 inches more than the CT6 and has the high-end features we would expect to see in a flagship concept. Furthermore, the Cadillac Escala has a GM’s new 4.2-liter twin-turbo V8. Yes, it can cut off half its cylinders so it can save on fuel! This is a next-gen engine with fuel-saving cylinder deactivation tech,we’ve all been waiting for. Cadillac isn’t afraid to use it; it will be its exclusive unit in the future models. The body shape of the Cadillac is finessed and sculptural – it’s the beginning of a new era. However, the exterior design is not what the Cadillac Escala is all about. 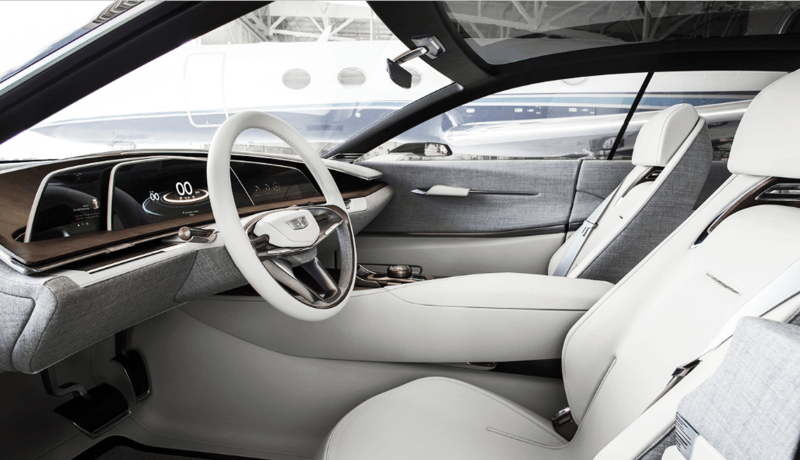 The interior of the Cadillac Escala is the real deal here – the exterior is only a reflection. Of course, you can choose to focus on the curved OLED screens that the automaker wrapped in leather. But, why don’t you take a look at the dashboard and the seats in mixed leather and cloth? Those are the true highlight when it comes to the Cadillac Escala. The aim is to blend luxury and comfort – a “dual personality” approach, just like Andrew Smith like to call it. In front, we see 3 curved display screens surrounded by leather and wood and in the rear a wool upholstery, modeled after a men’s suit. That is what the Escala is bringing to its fans. Nevertheless, the Escala isn’t likely to go into production as we see it here, according to Nysschen. Its design cues will appear throughout the forthcoming lineup but, we probably won’t see it all at once. Be that as it may, this is the Cadillac’s new face. Check it out! 1957 Chevrolet QUICKSILVER custom pickup is seriously American! Adam Anderson’s Chevy Steam Roller Truck Is One Badass Machine! Brutal 600hp Silvia S14 screaming power! GTA style helicopter prison escape in Quebec! EPIC Motorcycle Wheelie Fail..Can You Guess What He Did Wrong?